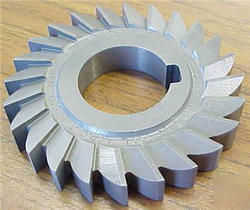 The Side & Face Cutter is designed with cutting teeth on its side as well as its circumference. They are made in varying diameters and widths depending on the application. The teeth on the side allow the cutter to make unbalanced cuts (cutting on one side only) without deflecting the cutter as would happen with a slitting saw or slot cutter. 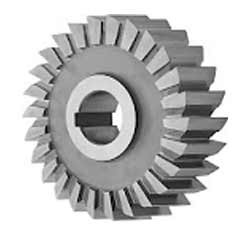 Used for light and heavy deep slot operations in steel and in most soft material. These side & face cutters are extensively used in the production such as tool & cutter grinder milling machine, lathe machine, hexa machine and beach grinder machine and are available in varying diameters and widths. Looking for Face Milling Cutters for Deep Slotting Operations ?